JWR’s core business is direct promotions. We offer face-to-face sales and marketing solutions that are designed to maximise on credit card acquisitions while demonstrating the true, personalised, value of a product. 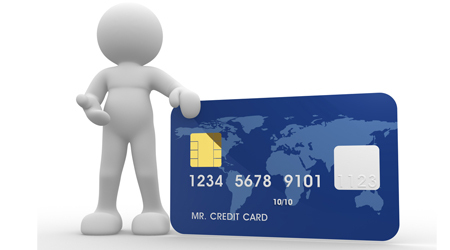 This approach leads to highly engaged customers that use their credit cards consistently and frequently. In today’s competitive business environment, the prospect to do more with your existing customers is an effective way to turn relationships into new opportunities. As one of Canada’s most respected credit card marketing companies, we will ensure clear optics around maximising on acquisition volumes while delivering on optimal levels of active customers. At JWR, we go beyond the scope of conventional sales and marketing and understand the value that new customer acquisitions have on your business. Our decades of experience in credit card acquisitions have given us the competitive advantage in the dynamics of delivering on a successful full cycle customer interaction. Regardless of the program, JWR will protect your brand with our full compliance to all governmental regulations (KYC, AML and PIPEDA). In addition, JWR offers your business the valuable opportunity to take advantage of cross selling opportunities throughout each of our programs. This allows for each customer interaction to develop into a potential sale and maximizes your branding around different product lines. At JWR we understand that whether you are looking for new customer relationships or expanding on current ones, leveraging each opportunity allows for increased fiscal savings. We will ensure that each communication results in a meaningful interaction that builds your business footprint. By managing your business though effective, results based leadership, JWR will protect your business goals to ensure cost effectiveness and profitability.